the Eagle Scout award at a special ceremony held in his honor on June 10, 2006. The Eagle award is the Boy Scout's highest honor awarded to a youth, and only about 4 percent of the boys who enter the Scouting program ever earn this award. 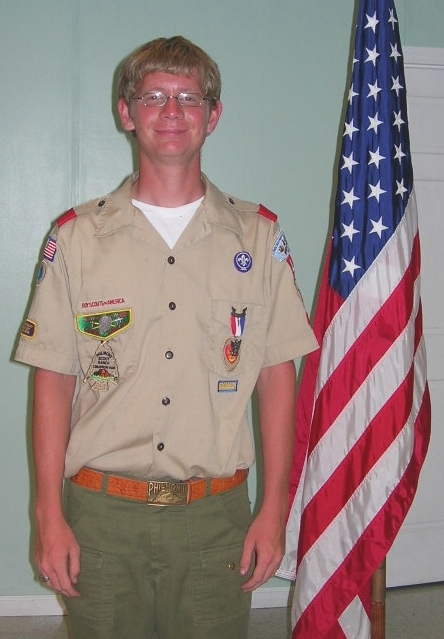 As part of the requirements for Eagle Scout, Milas was required to complete a community service leadership project. For his project, Milas planned and led the effort to build a picnic and outdoor classroom area for the Historic Rosedale Plantation in north Charlotte. Milas graduated this year from Harding High School and will enroll this fall as a freshman at Western Carolina University. Troop 45 is sponsored by Central Steele Creek Presbyterian Church and is led by Lynn Snuggs. Visit the troop web site at www.troop45nc.org.